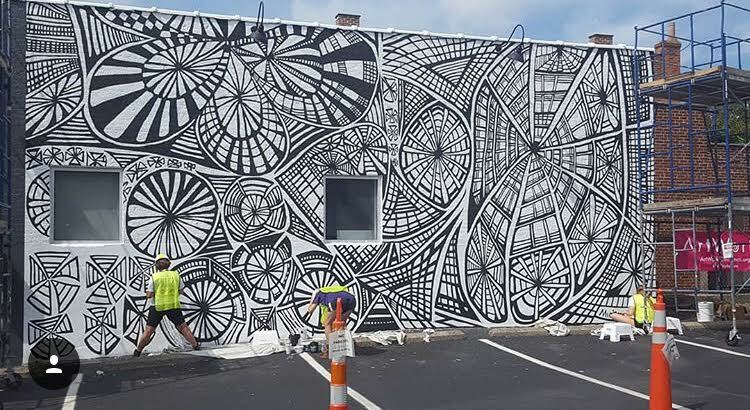 OHHS Art and Design junior Emma Sedlack worked as an Apprentice this summer on the ArtWorks and Visionaries + Voices partnership mural located in Oakley. The goal of the project was to build a more inclusive community through creative collaboration between Artworks and V+V artists. Visionaries + Voices is a non-profit organization that provides exhibition opportunities, studio space, supplies, and support to area visual artists with disabilities. The collaboratively designed mural was executed by a team of Apprentices from both organizations. Mural Dedication was September 5 at 5:30 pm!